$5 per session for member and non-members of all ages ($100 bills not accepted, please bring smaller bills). You do not need to be a member to play in open gym. Currently, only times listed in the calendar are available for open gym. this waiver and bring it to the gym. Waiver must be completed one time per year. SPBA students should fill out all 3 pages. 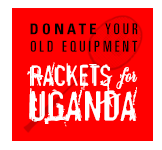 Rackets are available to demo for $5. These rackets are also available for sale at the pro shop. 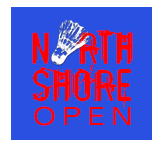 Shuttles are not provided, however shuttles are available for purchase at the pro shop for $20, $26, or $31. If you experience a problem where someone is not rotating, please calmly ask the open gym assistant to help rectify the situation and have patience while they resolve the problem. In order to keep a positive fun environment in the gym, any player arguing, raising their voice, or bullying other players will be asked to leave immediately with no refund. This kind of behavior will not be tolerated. Only authorized SPBA workers are allowed to set up and take down badminton nets and volleyball nets. Please be patient while our workers set up the nets. Players are not allowed to set up and take down badminton and volleyball nets due to damage that has been done to the equipment as a result. We aren’t usually allowed by the facility to set up nets prior to the open gym time so please be patient while we work to get them up as quickly as possible. Thank you for your understanding. Racket restringing service currently unavailable. We hope to have this available again soon. Ask the open gym worker for details. Full pro shop available as well. Non-­marking court shoes are strongly encouraged. Please bring a clean and dry pair or shoes to wear in the gym separate from your outside shoes. No coaching during open gym. All court rentals are for public use and not to be used for private lessons except by SPBA coaches. No playing in the entrance of the facility. Please keep the facility clean and throw away your trash and broken shuttles.